From the video, you can see the car accelerates well up to about 100mph. I am shifting from 4th to 5th at around 100, just as the toque curve is dropping off. 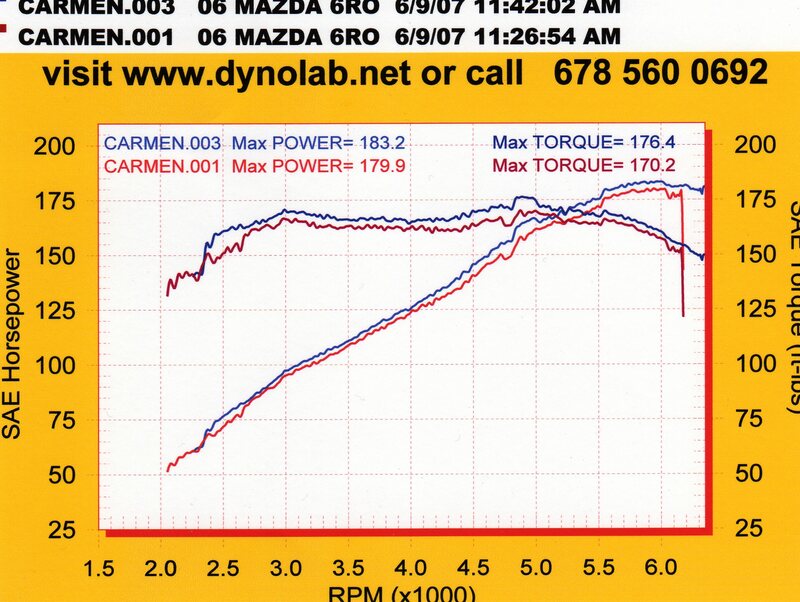 But when I get to 5th, I am well below the sweet spot of the torque curve and the car falls flat - damn 0.733 5th gear!! I used that torque curve as an input to my "shift points" Excel program, as well as the gear ratios, and the tire diameter. The result is the torque at the front axle vs speed for each gear. I created jpeg picture files ( on smugmug ) of the plots from Excel, but I can't make a picture here. ---- Any ideas? The bottom line is it's best to stay in the lowest gear possible, and when I ran a 6 speed (common in Oz), you have more axle torque in 3rd, 4th, and 5th. They hit 6400 sooner in each of those gears: 3rd is 82 vs 90, 4th 104 vs 120, 5th is 127 vs 155, and 6th is like a continuation of 5th, hitting 6400 at 142. Last edited by KevinK2; 07-11-2014 at 12:46 PM. Ok, I'll just try links to where the Excel "shift points" reside. The first is for the as built 5 speed with CR's last tires at VIR. Note that the last two points on each gear's curve represent 6250 rpm and 6350 rpm. 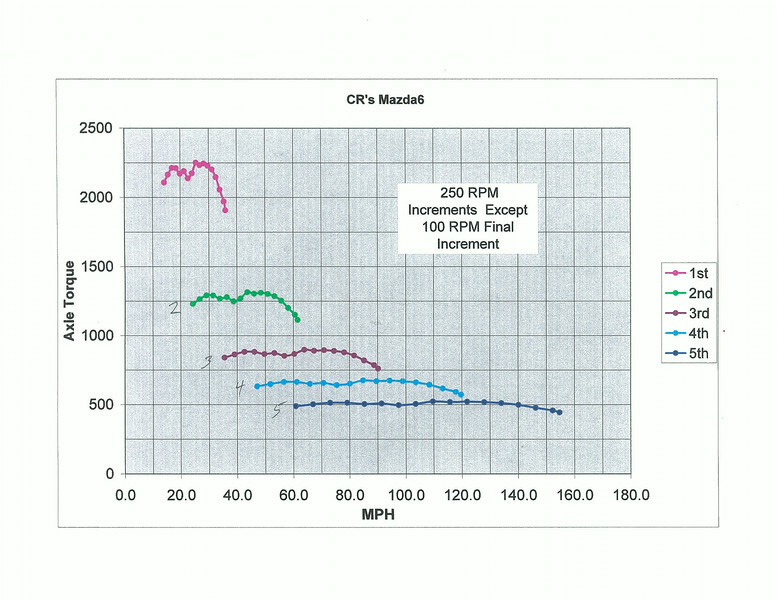 Since each curve shows the axle torque with full engine available hp based on rpm, there is no case where you would upshift before max rpm, in any gear. Since the plot is axle torque vs rpm , and rpm is expressed by evenly spaced dots on each gear curve, this is actually a 3 dimensional plot for a family of gear curves. 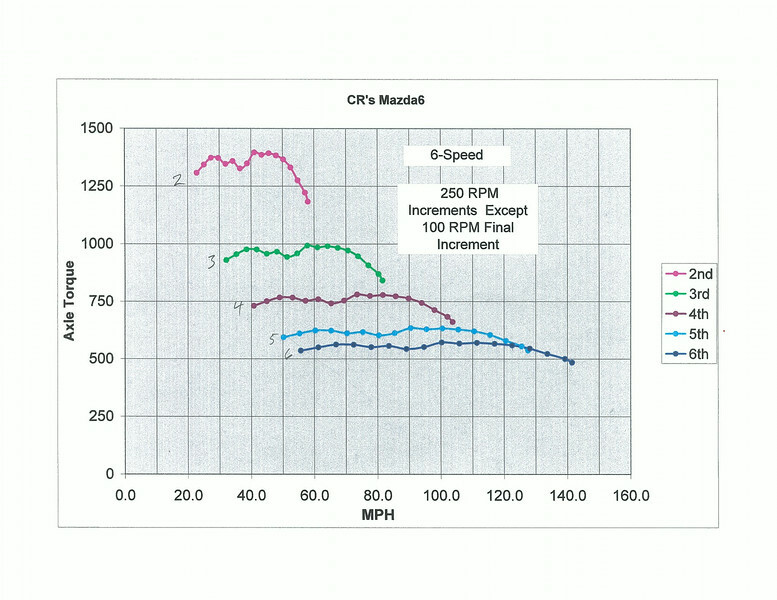 One main point is that it is hard to find a sweet spot of significance based on the engine's torque curve. Note that my base Excel program is based on a 5 speed, so for the 6 speed I input data for gears 2-6 . You still should hit max revs before shifting, excepth at 125mph, you should barely "short-shift" at 6250 rpms in 5th to 6th. As expected, more axle torque in all gears (1st? ), and less max speed in each gear. I know a person that uses shipping containers to ship british parts, and cars, overseas. The way to get a 6 speed would be to find a place the gets your 6 speed into a container in australia, and then to you in Va.
Last edited by KevinK2; 07-19-2014 at 03:54 PM. Finally got the Shiftpoint curves posted.